I Care 4 U is a posthumous compilation album by American R&B recording artist Aaliyah. Following the release of Aaliyah's self-titled third album in July 2001, she died in a plane crash after shooting the music video for the song "Rock the Boat" in the Bahamas on August 25. Blackground Records and Universal Music decided to release a posthumous record that included songs from her studio albums and previously unreleased tracks and demos, recorded between 1993 and 2001. It also included her hit singles and a number of recordings discarded from sessions for her third album. When I Care 4 U was released by Blackground and Universal on December 10, 2002, critics were divided in their assessment of the previously unreleased songs and the compilation's breadth in general. Commercially, the album was a success, debuting at number three on the Billboard 200 and being certified platinum. It also reached the top ten of record charts in the United Kingdom, France, Germany, and Switzerland. The compilation produced four singles—"Miss You", "I Care 4 U", "Don't Know What to Tell Ya", and "Come Over"—and has sold six million copies worldwide. After completing Romeo Must Die, Aaliyah filmed her part in Queen of the Damned. She released her third and final album, Aaliyah, in July 2001 which was met with highly positive reviews from critics. The album became a commercial success debuting at number two on the Billboard 200 and sold 187,000 copies,. and became her highest sales week of her career. Aaliyah spent 68 weeks on the Billboard 200 and, by December 2009, had sold 2.6 million copies. On August 25, 2001, Aaliyah and eight others were killed in a plane crash in The Bahamas after filming the music video for the single "Rock the Boat". The pilot, Luis Morales III, was unlicensed at the time of the accident and had traces of cocaine and alcohol in his system. Aaliyah's family later filed a wrongful death lawsuit against Blackhawk International Airways, which was settled out of court. The album features both album cuts and previously unreleased tracks and demos, recorded between 1993 and 2001. "Miss You" was written by R&B singer Ginuwine, Johnta Austin and Teddy Bishop, while produced by the latter, and was originally crafted for Ginuwine's second studio album 100% Ginuwine (1999). It was fall of 1999, and while Aaliyah was recording tracks for self-titled third album (2001) in the Manhattan Center Studios, she requested Austin and Bishop to play her a couple of tracks they had produced with other artists, including "I Miss You" for which Ginuwine had already lent his vocals. Bishop later commented, "She was like, 'I want to cut this record' [...] She got on the phone, called him and said 'Hey I know you cut this record already, but I would love to cut it'." Ginuwine, who was a part writer on the song, allowed her to cut her own version of it and the same night, Aaliyah re-recorded the whole track. Though she reportedly wanted to put the song out herself, Blackground Records, her label, felt the song was no "smash record" and thus, the song was left unused until her death in August 2001. The title track was written by Missy Elliott and Timbaland, who also produced the song, and recorded at Magic Mix Studios and Music Grinder Studios in Los Angeles. Aaliyah began to record the song for her 1996 album One in a Million, but it was completed after that album had finished post-production, so she saved it for her next album. The song is a soft romantic R&B ballad whose female narrator, according to Aaliyah, says "don't cry, I'll wipe your tears. I love you, just give me the chance to show you." I Care 4 U was an international commercial success, entering charts at the number one in Japan and Finland; at the top five on the United States, Argentina, Europe, UK, France, Germany and Switzerland; and, at the top ten in Brazil, Canada, New Zealand and Poland. I Care 4 U sold over 6 million copies worldwide. The album entered the U.S. Billboard 200 at #3 and at #1 on the R&B/Hip-Hop Albums chart, selling 290,669 copies in the first week. In its second week, the album fell to #6 on the U.S. Billboard 200 and to #2 on the Top R&B/Hip-Hop Albums chart, selling 280,000 copies. In its third week the album fell to number #10 on the U.S. Billboard 200 and rose to the #1 on the R&B/Hip-Hop Albums chart, selling 176,000 copies. In its fourth week, the album rose to #9 on the U.S. Billboard 200 and continued at the same position, selling 138,000 copies (and 884,669 copies in the first month). It topped the Top R&B/Hip-Hop Albums chart for seven weeks. I Care 4 U was certified Platinum in the United States and sold over 1.7 million copies in the country. In a more critical review, Slant Magazine's Sal Cinqeumani was not impressed by the new songs on what he said was "neither a posthumous album of all-new material nor a proper greatest hits package" but "a half-assed attempt at satiating the Aaliyah fan's need for both". Rolling Stone magazine's Arion Berger also felt the album's second half of newer songs was somewhat inferior to Timbaland's impressive productions on the first half, while Natalie Nichols of the Los Angeles Times panned the previously unreleased songs as "merely soothing sonic wallpaper, with Aaliyah's pretty yet personality-free voice often treated like just another element in the mix". In The Rolling Stone Album Guide (2004), Keith Harris felt Aaliyah's catalogue warranted a more comprehensive compilation, although he believed the new songs proved she was maturing creatively before her death. 1. "One in a Million"
2. "Are You That Somebody?" 4. "We Need a Resolution"
5. "More That a Woman"
11. "Aaliyah Behind the Scenes"
↑ "Aaliyah". The Daily Telegraph. Telegraph Media Group. November 22, 2001. Retrieved June 7, 2009. ↑ Brown 2001; Huey n.d.
↑ Mayfield 2001a, p. 69. ↑ Schumacher-Rasmussen, Eric (August 26, 2001). "Aaliyah Killed In Plane Crash". MTV News. Archived from the original on 18 April 2009. Retrieved April 9, 2009. ↑ "U.S. investigators to probe Aaliyah crash". CNN. August 27, 2001. Archived from the original on 13 April 2009. Retrieved April 8, 2009. ↑ Holguin, Jaime (November 11, 2003). "Aaliyah Crash Pilot Was On Cocaine". CBS News. Retrieved June 28, 2009. ↑ Silverman, Stephen M. (August 26, 2002). "Aaliyah Remembered One Year Later". People. Time. Retrieved April 4, 2009. 1 2 3 4 "Interview: Radio Constantly Changes But Teddy Bishop's Ability To Diversify Allows The Quality Of His Music To Stay The Same". YouKnowIGotSoul.com. 2012-02-20. Retrieved 2012-02-22. ↑ Aaliyah (CD liner). Aaliyah. New York: Blackground Records. 2001. CDVUS199. 1 2 Hall, Rashaun (July 11, 2001). "Blackground Readying Aaliyah's Return". Billboard. New York. 113 (29): 16, 18. Retrieved November 25, 2012. ↑ Smith, Graham. "Aaliyah - I Care 4 U (Independiente)". musicOMH. Retrieved December 27, 2012. 1 2 "ChartArchive: Aaliyah". Chart Stats. Retrieved March 22, 2012. 1 2 "HITS Daily Double: Previous Album Sales Chart". HITS Daily Double. Retrieved March 22, 2012. 1 2 "Aaliyah Lands At #3, B2K At #10 In Album Charts". rnbdirt.com. December 19, 2002. Retrieved March 22, 2013. 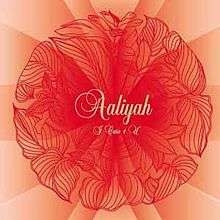 1 2 "SS MUSIC: Aaaliyah". SS Music. Archived from the original on April 9, 2010. Retrieved March 22, 2012. 1 2 3 "Career - "I'm Living a Dream"". YouTube. Retrieved March 22, 2012. ↑ "Pandora Archive" (PDF). Pandora.nla.gov.au. 2006-08-23. Retrieved 2012-02-23. ↑ "Top R&B/Hip-Hop Albums". Billboard. January 25, 2003. Retrieved March 22, 2013. ↑ "Top R&B/Hip-Hop Albums". Billboard. January 11, 2003. Retrieved March 22, 2013. ↑ "Top R&B/Hip-Hop Albums". Billboard. January 4, 2003. Retrieved March 22, 2013. ↑ "Top R&B/Hip-Hop Albums". Billboard. December 28, 2002. Retrieved March 22, 2013. ↑ "Recording Industry Association of America". RIAA. Retrieved 2012-02-23. 1 2 Bush, John (December 10, 2002). "I Care 4 U - Aaliyah : Songs, Reviews, Credits, Awards : AllMusic". AllMusic. Retrieved March 22, 2012. 1 2 Seymour, Craig (December 13, 2002). "Care 4 U Review | Music Reviews and News | EW.com". Entertainment Weekly. Retrieved March 22, 2012. 1 2 Nichols, Natalie (December 8, 2002). "Just Whitney and a whiff of desperation". Los Angeles Times. Retrieved September 24, 2015. ↑ Sullivan, Caroline (January 31, 2003). "Pop CD: Aaliyah, I Care 4 U | Music | The Guardian". The Guardian. Retrieved March 22, 2012. 1 2 Berger, Arion (December 30, 2002). "Rolling Stone : Aaliyah: I Care 4 You : Music Reviews". Rolling Stone. Archived from the original on May 10, 2007. Retrieved March 22, 2012. 1 2 Harris, Keith (2004). "Aaliyah". In Brackett, Nathan; Hoard, Christian. The New Rolling Stone Album Guide. Simon & Schuster. p. 1. ISBN 0743201698. Retrieved September 24, 2015. 1 2 Cinquemani, Sal (December 4, 2002). "Aaliyah: I Care 4 U | Music Review | Slant Magazine". Slant Magazine. Retrieved March 22, 2012. 1 2 King, Jason (February 2003). "Revolutions". Vibe. New York: 136. Retrieved March 23, 2013. 1 2 3 Christgau, Robert (March 25, 2003). "As Long as I Still Can". The Village Voice. New York. Retrieved March 23, 2013. ↑ Smith, Graham (February 3, 2003). "Aaliyah – I Care 4 U". musicOMH. Retrieved September 24, 2015. 1 2 3 4 5 6 7 8 9 10 11 12 "norwegiancharts.com - Aaliyah - I Care 4 U". norwegiancharts.com. Retrieved 17 January 2012. ↑ "charts.de". charts.de. Retrieved 26 June 2012. ↑ "Canadian album certifications – Aaliyah – I Care 4 U". Music Canada. ↑ "French album certifications – Aaliyah – I Care 4 U" (in French). Syndicat National de l'Édition Phonographique. ↑ "The Official Swiss Charts and Music Community: Awards (Aaliyah; 'I Care 4 U')". IFPI Switzerland. Hung Medien.